I'm thinking of doing an experiment with a JS program to utilize Japanese Multiplication, and I want to ask whether or not a software math shortcut is actually a shortcut at all. To be clear, I'm contemplating writing a program to get benchmarks for the comparison of normal multiplication and Japanese Multiplication via programming, and I'd like to ask whether or not this makes sense to do before spending time to build the experiment. Remember, this is a question of whether or not this question is appropriate for this site. Any additional thoughts on the topic should be described either in the comments or answers to the actual question. Japanese Multiplication simulation - is a program actually capable of improving calculation speed? Or am I doomed from the start? On SuperUser, I asked a (possibly silly) question about processors using mathematical shortcuts and would like to have a look at the possibility at the software application of that concept. I'd like to write a JS simulation of Japanese Multiplication to get benchmarks on large calculations utilizing the shortcut vs traditional CPU multiplication. I'm curious as to whether it makes sense to do this. My Question: I'd like to know whether or not a software math shortcut, as described above is actually a shortcut at all. This is a question of programming concept. By utilizing the simulation of Japanese Multiplication, is my program actually capable of improving calculation speed? Or am I doomed from the start? My theory is that since addition is computed faster than multiplication, a simulation of Japanese multiplication may actually allow a program to multiply (large) numbers faster than the CPU arithmetic unit can. I think this would be a very interesting finding, if it proves to be true. Why? Computational complexity/efficiency can be answered in a rigorous, mathematical way. 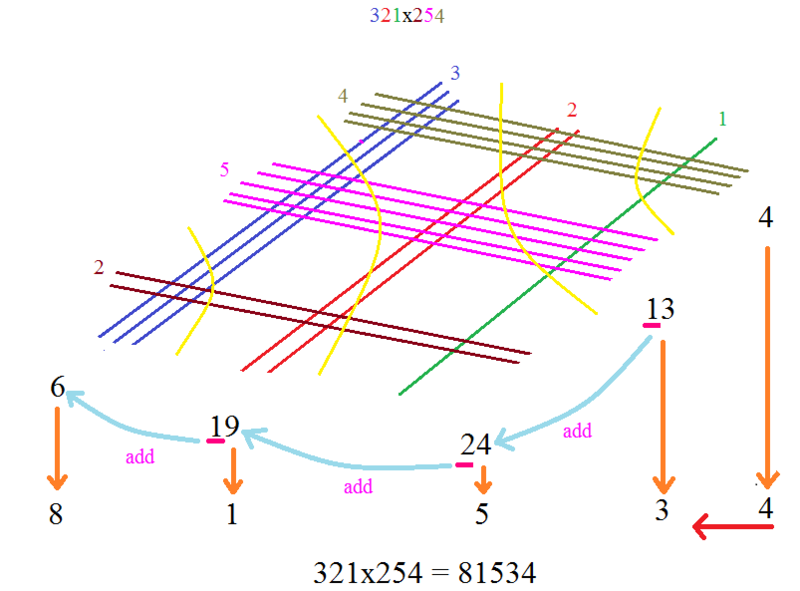 So, one could show that this approach actually relies on the computer's built-in multiplication algorithm, and hence cannot be any faster. However, this question borders on off-topic nature when we are asked to compare it to the computer's built-in algorithm--we can't expect Math.SE answerers to know how the ALU works, as that isn't a math question. CS.SE people, however, should know how the ALU works, and should be able to work with the computational complexity aspect of this question. This doesn't lie within the purview of M.SE, though the users there are good people to ask. Is it appropriate to ask a self-answered question on proof style?